Our teaching will continue in Psalm 119 from verses 153 through 168. AND THE TITLE OF OUR MESSAGE IS, GREAT PEACE HAVE THEY WHO LOVE YOUR LAW, AND IS NOT AN OBSTACLE FOR THEM. And with that said, let’s read Psalm 119.153-168. PSALM 119.153 CONSIDER MY AFFLICTION, AND DELIVER ME, FOR I DO NOT FORGET YOUR LAW. AS YOU ALL KNOW, AFFLICTION MEANS TROUBLES. THOSE WHO LOVE MESSIAH YESHUA, AND LIVE BY TORAH, THE LAW OF MOSES AS THE LORD GOD ALMIGHTY COMMANDS YOU, TROUBLES WILL COME UPON YOU FROM TIME TO TIME. PERHAPS TO TEST YOU TO SEE IF YOU WILL CONTINUE TO OBEY GOD’S TORAH, HIS LAW OF MOSES. AND, AS PETER WRITES, YOU SHARE IN MESSIAH’S SUFFERINGS. TITUS 1.16 THE WORKS OF THE DISOBEDIENT ARE DENYING GOD BY DISOBEYING HIS LAW OF MOSES. REPROBATE MEANS REJECTING THE SPOKEN WORD OF GOD IN THE BIBLE THAT INCLUDES THE LAW OF MOSES. SEE 1 SAMUEL 15.22-26 THE HEBREW WORD FOR REJECT, AS IN YOU HAVE REJECTED THE WORD OF THE LORD, IS MAH’AHS MEANING REPROBATE. THE TRUE BELIEVER IN MESSIAH YESHUA DOES NOT FORGET GOD’S LAW OF MOSES BUT LIVES BY TORAH EVERY DAY. AND GOD DELIVERS YOU FROM ALL YOUR AFFLICTIONS. PSALM 119.154 PLEAD MY CAUSE, AND DELIVER ME. REVIVE ME ACCORDING TO YOUR WORD. THIS IS AN INTERESTING VERSE BECAUSE OF THE WORD PLEAD. SOME BIBLES SAY CHAMPION MY CAUSE. THAT IS TO SAY, FIGHT FOR ME, OR DEFEND ME. IF THE WRITER IS ASKING GOD TO PLEAD HIS CAUSE, AND THIS PSALM WAS WRITTEN HUNDREDS OF YEARS BEFORE MESSIAH YESHUA, THE WRITER KNEW WELL THAT GOD CALLS HIMSELF ELOHIM, IN HEBREW MEANING GODS. BUT THE WRITER ALSO UNDERSTOOD THAT THERE IS ONLY ONE GOD AND NO OTHERS. AND GOD ALMIGHTY IS THE FATHER, THE MESSIAH YESHUA, THE SPIRIT, THE HOLY SPIRIT AND MUCH MORE. AND THE WRITER ALSO KNEW OF PSALM 2 THAT WRITES, THE RULERS TAKE COUNSEL TOGETHER AGAINST THE LORD AND AGAINST HIS ANOINTED. ANOINTED IN HEBREW IS MAH’SHE’AKH, MEANING MESSIAH. AND PSALM 45 WRITES, GOD YOUR GOD. AND PSALM 110 WRITES, THE LORD SAID TO MY LORD, SIT AT MY RIGHT HAND UNTIL I MAKE YOUR ENEMIES YOUR FOOTSTOOL. THE WRITER ASKED GOD TO PLEAD FOR HIM, TO MAKE INTERCESSION FOR HIM JUST AS MESSIAH MAKES INTERCESSION FOR THE TRANSGRESSORS BY PLEADING TO GOD ON THEIR BEHALF. YET MESSIAH IS GOD ALMIGHTY, AND GOD IS IN MANY PLACES AT THE SAME TIME. AND THERE IS ONLY ONE GOD AND NO OTHERS. AND MESSIAH MAKES INTERCESSION FOR THE TRANSGRESSORS. HE PLEADS TO GOD FOR US. YET THERE IS ONLY ONE GOD. GOD WILL ANSWER YOU AND REVIVE YOU ACCORDING HIS SPOKEN WORD IN THE BIBLE. AND HE WILL DELIVER YOU FROM ALL YOUR TROUBLES BECAUSE YOU OBEY THE LORD YOUR GOD. PSALM 119.155 SALVATION IS FAR FROM THE WICKED FOR THEY DO NOT SEEK YOUR STATUTES. WICKED IN HEBREW IS RAH’SHAH MEANING UNGODLY. THOSE WHO DO WRONG BY NOT OBEYING WHAT GOD SAYS IN THE BIBLE THAT INCLUDES THE LAW OF MOSES ARE UNGODLY. UNGODLINESS IS SIN. SALVATION ON THE OTHER HAND IN HEBREW IS YESHUA THAT MEANS BEING SAVED, DELIVERED, HEALTH, AND OF COURSE, YESHUA IS THE NAME OF THE JEWISH MESSIAH WHO IS GOD ALMIGHTY. AND STATUTES IN HEBREW, AS IN GOD’S STATUTES, IS KHU’KEEM MEANING ALL GOD’S LAWS THAT ARE WRITTEN IN THE LAW OF MOSES. THUS THE WRITER OF PSALM 119 WRITES, SALVATION IS FAR FROM THE WICKED FOR THEY DO NOT SEEK YOUR STATUTES. THEREFORE SALVATION IS FAR FROM THOSE WHO REJECT THE LAW OF MOSES. OBEDIENCE TO TORAH, GOD’S LAW OF MOSES IS A MYSTERY. GOD HIDES THAT FROM THE WORLD THOUGH IT IS CLEARLY WRITTEN IN THE BIBLE. PSALM 119.156 GREAT ARE YOUR TENDER MERCIES, O LORD, REVIVE ME ACCORDING TO YOUR JUDGMENTS. THE WRITER OF THIS PSALM, LIKE EVERYBODY ELSE IN LIFE HAD PROBLEMS FROM TIME TO TIME. AND THE WRITER PRAYED TO GOD FOR MERCY, AND JUSTICE ACCORDING TO GOD’S JUDGMENTS, HIS DECISIONS ON CRIME OR WRONGS THAT MAY HAVE BEEN COMMITTED AGAINST THE WRITER. THE BIBLE TEACHES ALL MANKIND TO OBEY GOD AND KEEP HIS COMMANDMENTS WHICH ARE ALL HIS LAWS WRITTEN IN THE LAW OF MOSES IN THE FIRST FIVE BOOKS OF THE BIBLE. WHEN WE OBEY GOD, EVERY WORD HE SPEAKS IN THE BIBLE, WE CAN CALL UPON THE LORD WITH CONFIDENCE ACCORDING TO HIS TENDER MERCIES FOR JUSTICE. AND WE HAVE THE RIGHT TO EXPECT GOD’S MERCY AND JUSTICE BECAUSE WE OBEY EVERY WORD GOD SPEAKS IN THE BIBLE. AND THAT IS COMFORTING. MESSIAH YESHUA IS FULLY PART OF TORAH, THE LAW OF MOSES BECAUSE MESSIAH IS ELOHIM, THE LORD GOD ALMIGHTY. AND IT IS MESSIAH YESHUA WHO GAVE HIS LAWS AND TEACHINGS TO MOSES FOR ISRAEL AND ALL THE WORLD TO LIVE BY. AND MESSIAH IS OUR ATONEMENT BY HIS ATONING DEATH AS A HUMAN BEING WHO SHED HIS BLOOD FOR THE FORGIVENESS OF ALL YOUR SINS. THEREFORE IN CONFIDENCE WE CAN ASK GOD FOR HIS GREAT TENDER MERCIES WHENEVER WE FEEL THE NEED TO ASK HIM. PSALM 119.157 MANY ARE MY PERSECUTORS AND MY ENEMIES. YET I DO NOT DECLINE FROM YOUR TESTIMONIES. ENEMIES AND PERSECUTORS ARE VERY MUCH THE SAME. THEY BOTH GIVE US TROUBLE. 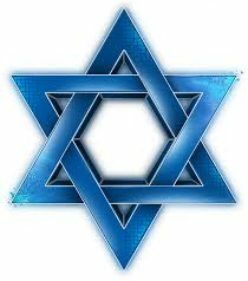 ON THE JEWISH SIDE, WE HAVE SOME ENEMIES AND PERSECUTORS BECAUSE WE BELIEVE IN THE JESUS CHRIST OF THE BIBLE WHO IS HA SHEM, GOD ALMIGHTY, THE MESSIAH YESHUA. ON THE CHRISTIAN SIDE, YOU MIGHT HAVE ENEMIES BECAUSE YOU LIVE YOUR LIFE ACCORDING TO TORAH, THE LAW OF MOSES, AND EVERY WORD GOD SPEAKS IN THE BIBLE. AND YOU BELIEVE IN ONE GOD, THAT MESSIAH YESHUA IS THAT ONE GOD, GOD ALMIGHTY THE FATHER. AND YOU NEVER TURN AWAY FROM THE WORDS THAT THE ALMIGHTY GOD, THE MESSIAH YESHUA SPEAKS IN THE BIBLE FROM GENESIS THROUGH REVELATION THAT INCLUDES THE LAW OF MOSES. AND YOU NEVER TURN AWAY FROM YOUR FAITH IN MESSIAH YESHUA BECAUSE OF YOUR ENEMIES OR ANYTHING ELSE. PSALM 119.158 I BEHELD THE TRANSGRESSORS, AND WAS GRIEVED BECAUSE THEY DID NOT KEEP YOUR WORD. WE HAVE BEEN TEACHING ABOUT THE MYSTERIES WRITTEN IN THE BIBLE, SUCH AS THE MYSTERY OF GOD, THE MYSTERY OF THE KINGDOM OF GOD, THE MYSTERY OF INIQUITY, ETC. AND THE MYSTERY THAT GOD HIDES FROM MOST EVERYBODY IN THE WORLD IS THAT GOD REQUIRES ALL MANKIND TO LIVE BY HIS WORDS WRITTEN IN THE LAW OF MOSES THAT IS WRITTEN IN THE FIRST FIVE BOOKS OF THE BIBLE, AND EVERY WORD THAT GOD SPEAKS IN THE BIBLE. BUT THE WORLD IS BLIND TO THE TRUTH, THE SPOKEN WORD OF GOD WRITTEN IN THE BIBLE SEEING THEY REJECT GOD’S LAW OF MOSES, AND JUST ABOUT EVERY WORD GOD SPEAKS IN THE BIBLE. AND IT GRIEVES US BECAUSE THE WORLD REJECTS GOD BY REJECTING THE LAWS AND TEACHINGS OF GOD ALMIGHTY WHO CREATED EVERY HUMAN BEING. PSALM 119.159-160 CONSIDER HOW I LOVE YOUR PRECEPTS. REVIVE ME, O LORD, ACCORDING TO YOUR LOVING KINDNESS. YOUR WORD IS TRUE FROM THE BEGINNING, AND EVERY ONE OF YOUR RIGHTEOUS JUDGMENTS ENDURES FOREVER. FROM THE BEGINNING IN GENESIS CHAPTER 1, GOD OFTEN CALLS HIMSELF ELOHIM THAT IN HEBREW MEANS GODS. BUT GOD TEACHES THROUGHOUT THE BIBLE THAT THERE IS ONLY ONE GOD AND NO OTHERS. AND GOD TEACHES THAT THE JEWISH MESSIAH YESHUA IS THAT ONE GOD, GOD ALMIGHTY THE FATHER. AND THAT GOD CREATED THE HEAVENS AND THE EARTH AND ALL THAT IS IN THEM. AND IN GENESIS CHAPTER 2, GOD ESTABLISHED THE SEVENTH DAY SABBATH FROM FRIDAY AT SUNDOWN TO SATURDAY AT SUNDOWN. AND IN GENESIS CHAPTER 2, GOD REVEALS TO ALL MANKIND THAT HIS SPOKEN WORD WRITTEN IN THE BIBLE MUST BE OBEYED OR ELSE MAN WILL DIE THE SPIRITUAL DEATH BECAUSE OF THEIR DISOBEDIENCE TO GOD WHOSE SPOKEN WORD NEVER CHANGES OR ENDS. THEN IN GENESIS CHAPTER 3, GOD INTRODUCED SATAN TO THE WORLD AS A SNAKE WHO TRICKS PEOPLE FOR GOD TO SEE WHAT IS IN THEIR HEARTS, WHETHER THEY WILL OBEY GOD OR NOT. TODAY SATAN CONTINUES TO TRICK PEOPLE BY HAVING HIS MESSENGERS TEACH THE LIE THAT JESUS ABOLISHED THE LAW OF MOSES. AND IN GENESIS CHAPTER 4, GOD INTRODUCED ATONEMENT WHEN THE LORD RESPECTED ABEL FOR BRINGING THE FIRST BORN OF HIS FLOCK FOR HIS SACRIFICIAL OFFERINGS TO THE LORD FOR THE ATONEMENT OF HIS SINS. AND THE NEW TESTAMENT. ACTUALLY THE NEW TESTAMENT IS BETTER CALLED THE NEW COVENANT, THE NEW COVENANT FOR ATONEMENT THAT TEACHES THAT THE JEWISH MESSIAH YESHUA IS THE ATONEMENT FOR ALL MANKIND WHILE THERE IS NO TEMPLE IN JERUSALEM. MESSIAH IS OUR ATONEMENT BY HIS DEATH AND SHED BLOOD, FOLLOWED BY OBEDIENCE TO EVERY WORD GOD SPEAKS IN THE BIBLE INCLUDING THE LAW OF MOSES THAT KEEPS YOU IN GOD’S BOOK OF LIFE. THEREFORE WE, THE FAMILY OF GOD LOVE GOD’S PRECEPTS, HIS LAWS WRITTEN IN THE LAW OF MOSES, AND THE SPOKEN WORD OF GOD RECORDED IN THE BIBLE BECAUSE GOD’S WORD IS TRUE FROM THE BEGINNING. AND EVERY ONE OF HIS RIGHTEOUS JUDGMENTS ENDURES FOREVER. PSALM 119.161 PRINCES HAVE PERSECUTED ME WITHOUT A CAUSE. BUT MY HEART STANDS IN AWE OF YOUR WORD. PRINCES, OR PEOPLE IN HIGH POSITIONS, PERSECUTED THE WRITER OF PSALM 119 WITHOUT A CAUSE. BUT HE OR SHE STOOD IN AWE OF GOD’S SPOKEN WORD IN THE BIBLE. THE SPOKEN WORD OF GOD RECORDED IN THE BIBLE IS AWESOME FROM THE FIRST VERSE THAT GOD CREATED THE HEAVENS AND THE EARTH. AND GOD CREATED THE HEAVENS AND THE EARTH BY SPEAKING IT INTO EXISTENCE. HIS GREAT POWER IS BEYOND AWESOME, AND ALL HIS PROPHESIES COME TRUE. AND WE WAIT ON MESSIAH’S RETURN TO ESTABLISH HIS KINGDOM ON EARTH IN ISRAEL FOR 1,000 YEARS, FOLLOWED BY ETERNAL LIFE IN HEAVEN. AND GOD’S CONDITIONS FOR A GOOD LIFE ON EARTH, AND ETERNAL LIFE IN HEAVEN ARE SIMPLE. OBEDIENCE TO EVERY WORD GOD SPEAKS IN THE BIBLE, WHICH ARE NOT DIFFICULT. AND HAVING ATONEMENT FOR YOUR SINS BY FAITH IN MESSIAH YESHUA. I ALSO STAND IN AWE OF THE VOICE OF GOD. PSALM 119.162-164 I REJOICE AT YOUR WORD AS ONE THAT FINDS GREAT SPOIL. I HATE AND ABHOR LYING. BUT YOUR LAW DO I LOVE. SEVEN TIMES A DAY TO I PRAISE YOU BECAUSE OF YOUR RIGHTEOUS JUDGMENTS. LOOK, IT’S WRONG TO GIVE A MESSAGE ABOUT GOD DOING GREAT THINGS FOR YOU, BUT NOT REVEALING THAT GOD HAS CONDITIONS IN HIS WORD TO GIVE YOU THOSE GREAT THINGS. AND GOD’S CONDITIONS ARE OBEDIENCE. OBEDIENCE TO HIS WRITTEN WORD IN THE BIBLE THAT INCLUDES HIS LAW OF MOSES. THEREFORE THE TRUE BELIEVER IN MESSIAH YESHUA REJOICES IN THE SPOKEN WORD OF GOD IN THE BIBLE. AND, YES, GOD’S WORD IS LIKE FINDING GREAT WEALTH. THAT IS HOW MUCH THE TRUE BELIEVER IN MESSIAH LOVES GOD, BY OBEYING EVERY WORD HE SPEAKS IN THE BIBLE. AND THE TRUE BELIEVER HATES LYING. EVEN IN THE MOST DIFFICULT OF TIMES. BUT HE OR SHE LOVES THE LAW OF MOSES. AND WE PRAISE THE LORD OFTEN DURING THE COURSE OF THE DAY AND THE NIGHT. PSALM 119.165 GREAT PEACE HAVE THEY WHICH LOVE YOUR LAW, AND NOTHING SHALL OFFEND THEM. BETTER READ FROM THE HEBREW, GREAT PEACE HAVE THEY WHO LOVE YOUR LAW, AND IS NOT AN OBSTACLE TO THEM. PSALM 119.166 LORD, I HAVE HOPED FOR YOUR SALVATION, AND DONE YOUR COMMANDMENTS. SALVATION IS TALKED ABOUT A LOT TO THOSE WHO BELIEVE IN MESSIAH YESHUA. BUT SALVATION COMES, AS THE WRITER SAYS, BY DOING GOD’S COMMANDMENTS. GOD’S COMMANDMENTS ARE ALL HIS LAWS WRITTEN IN THE LAW OF MOSES. AND THAT IS SALVATION, DOING GOD’S COMMANDMENTS, AND HAVING FAITH IN MESSIAH YESHUA FOR YOUR ATONEMENT. PSALM 119.167 MY SOUL HAS KEPT YOUR TESTIMONIES, AND I LOVE THEM EXCEEDINGLY. JUST AS THE WRITER WROTE IN VERSE 166 ABOUT DOING GOD’S COMMANDMENTS FOR SALVATION, KEEPING GOD’S TESTIMONIES, EVERY WORD GOD SPEAKS IN THE BIBLE IS SALVATION. AND THAT IS A MYSTERY TO THE CHURCH AND MANY MESSIANIC CONGREGATIONS AND MOST OF THE WORLD. BECAUSE GOD HAS HIDDEN THE TRUTH FROM THEM. THEY ARE BLIND TO GOD’S TESTIMONIES, AND DO NOT UNDERSTAND THE WORD THAT GOD SPEAKS IN THE BIBLE THAT INCLUDES THE LAW OF MOSES THAT IS FOR ALL MANKIND. THE GOD OF CREATION HAS ONE LAW AND ONE TEACHING FOR THE WORLD, THE LAW OF MOSES AND EVERY WORD GOD SPEAKS IN THE BIBLE. PSALM 119.168 I HAVE KEPT YOUR PRECEPTS AND YOUR TESTIMONIES, FOR ALL MY WAYS ARE BEFORE YOU. PSALM 119 TEACHES THE GOSPEL. A GOOD LIFE ON EARTH AND ETERNAL LIFE IN HEAVEN COMES FROM OBEDIENCE TO EVERY WORD GOD SPEAKS IN THE BIBLE THAT INCLUDES FAITH IN MESSIAH YESHUA FOR THE FORGIVENESS OF ALL YOUR SINS. BUT THAT IS A MYSTERY TO THE MANY WHO ARE CALLED, BUT NOT A MYSTERY TO THE FEW WHO ARE CHOSEN. Previous Previous post: YOUR RIGHTEOUSNESS IS AN EVERLASTING RIGHTEOUSNESS, AND YOUR LAW IS TRUTH.